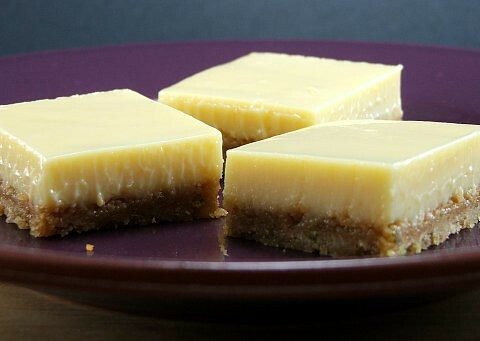 My husband loves key lime pie, but the filling is rich with all those egg yolks and sweetened condensed milk and he is not really into rich foods. 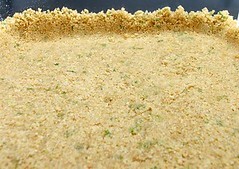 One Saturday I was watching an episode of Everyday Baking on PBS which featured a recipe for Lime Squares with Pistachio-Graham Crust. They looked good, and with less of the lime filling I thought they would be perfect for my husband. First, the nuts had to go. 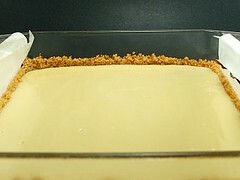 Next, I added some additional graham cracker crumbs and butter to the crust. With the sugar and lime zest it was perfect. 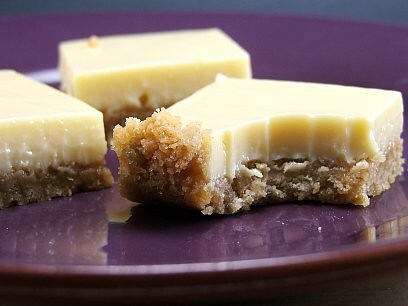 The filling was fine as is, but I do make it with fat free condensed milk which makes the bars a little less rich, which my husband prefers. I have tried them with regular condensed milk and they are much richer that way, and you may prefer that. Just know that fat free condensed milk will give you a lovely result, should you want to use it. Heat the oven to 350F, then grease an 8″ square pan, line it with parchment paper that hangs over the edge of the pan by a few inches (so you can remove the bars from the pan more easily). 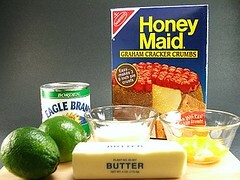 Combine the graham cracker crumbs, melted butter, sugar, and zest. Press into the prepared pan, pressing the crust mixture one inch up the side of the pan. Bake for 10 minutes. Allow to cool completely. Once the crust is cooled combine the egg yolks and condensed milk until well mixed. Stir in the lime juice and combine. It will begin to thicken slightly. Pour the filling into the crust, making sure the filling reaches the edges. Bake for 15 minutes, or until just set. Cool to room temperature, then chill for at least one hour, overnight is better. Pull the bars out of the pan using the parchment paper and transfer to a cutting board. 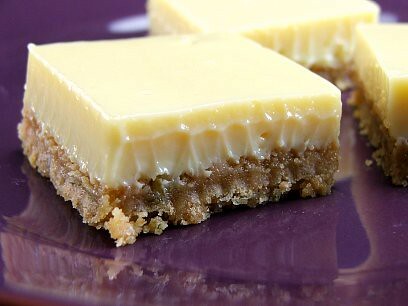 Cut into 16 squares with a serrated knife. To make cutting cleaner wipe the knife with a damp cloth between cuts. Store in the refrigerator in an air tight container. They last for about five days.